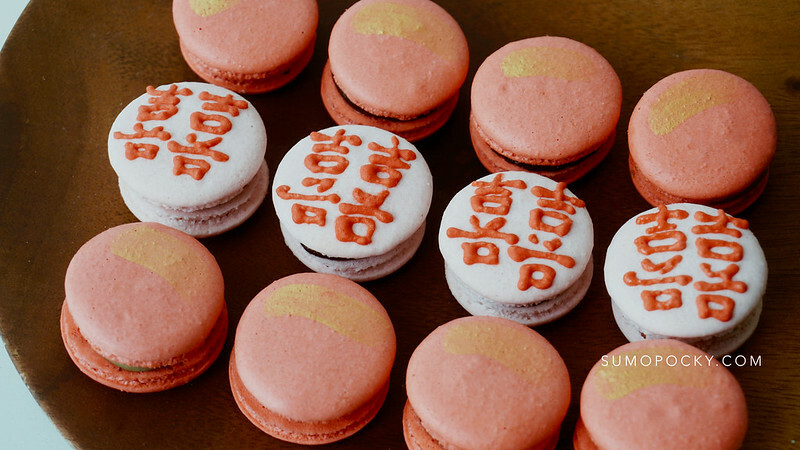 These Wedding Macarons are designed with the word "囍" (shuang xi), which symbolises "double happiness". The word "囍" is actually made up of two "喜" characters, which means happiness own its own. Hence, the term "double happiness". It is commonly used in wedding decoration because Chinese culture believes that “happiness comes in twos”. Even though it's not common for brides to bake their own wedding cakes, I guess it's okay given we are in modern times? 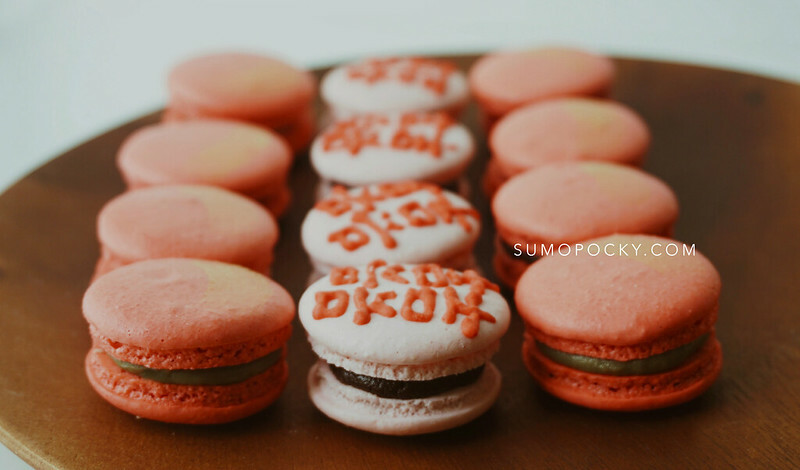 😊I baked these "shuang xi" macarons for my wedding 喜饼 (xi bing), which are usually traditional pastries given by groom's family to the bride’s family & relatives during the Guo Da Li ceremony (a formal meeting between both families and symbolizes the groom's sincerity in wanting to marry the bride into his family). Nowadays, it is increasingly common to give western-style cakes. 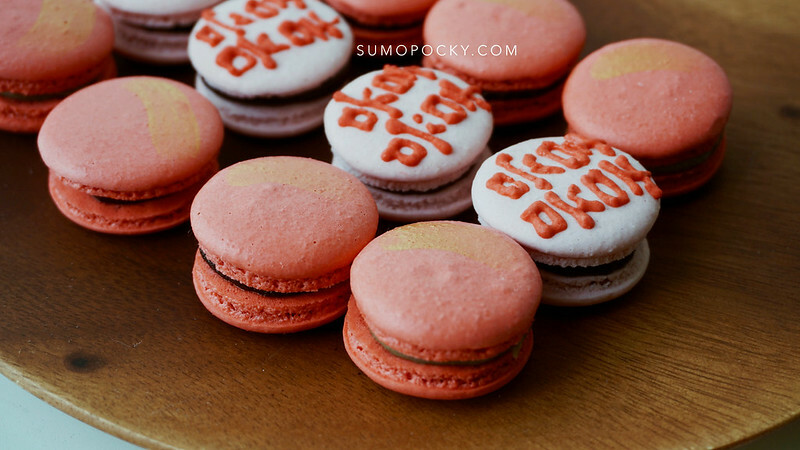 Hence, I thought it'd be unique to merge both western (french macarons) and eastern style ("囍") together. I also baked other desserts like chiffon cakes and brownies for the gift. 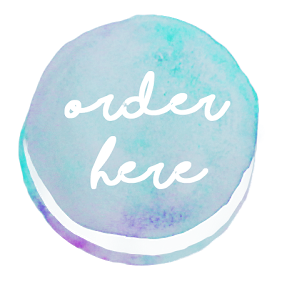 Email hello@sumopocky.com if you are interested to order for your xi bing in Singapore! 3. Begin macaronage. Using a spatula, start the macaronage process by folding and lightly scraping the top of the batter. Add a few drops of red food colouring to get pink batter. Continue until you get a molten-like mixture and it drips down like a ribbon when lifted. 4. Scoop out 1 tablespoon of pink batter and add a bit of red food colouring to get red colour. Transfer to a piping bag with a small tip. Transfer the pink batter from 3 to a piping bag with a medium round tip. 5. Pipe out pink batter onto baking tray lined with parchment paper. 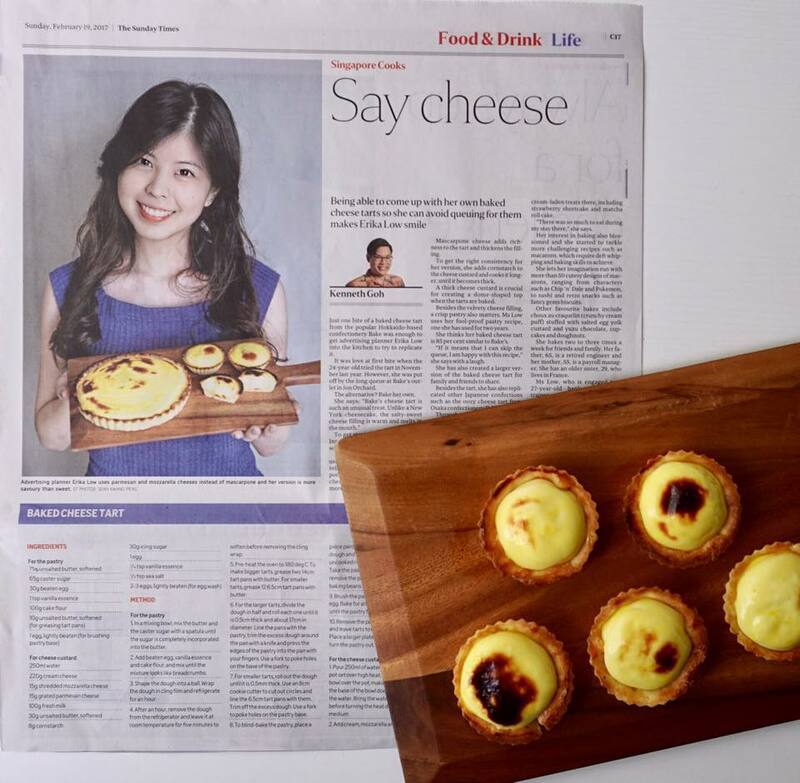 Tap the baking tray against the counter to knock out the air bubbles in the shells. 6. Let the shells dry for 5 minutes. Then, using the red batter, carefully write the word "囍". 8. Bake in a preheated oven at 150°C for approximately 12 - 15 minutes. Let shells cool. 9. Pipe your desired macaron filling in between the shells.